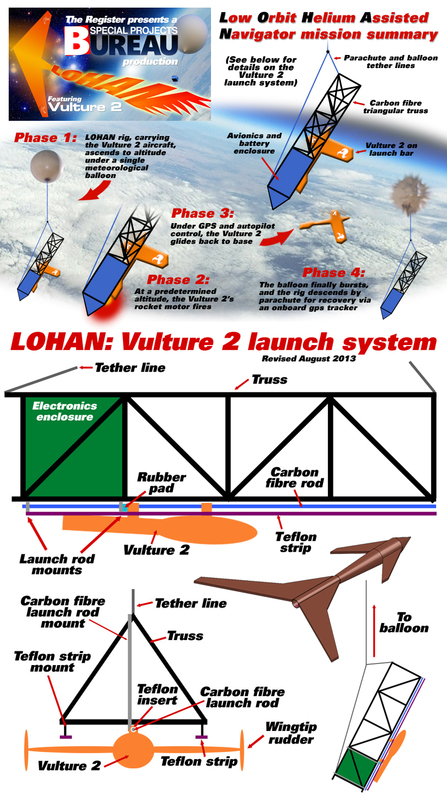 We invite Low Orbit Helium Assisted Navigator (LOHAN) fans to stick the kettle on, make a nice cuppa and enjoy a recent interview myself and Vulture 2 rocket motor wrangler Paul "Lord Shax" Shackleton did with Gareth Mitchell for the BBC World Service's Click. Good stuff, and we'd like to add that the Southampton Uni design boys in question are David Cooper, Chris Dodd and Amrith Surendra, while the man responsible for sending a toy bear stratowards is Dave Akerman. Our chat with Click came on a particularly lively day last month down at Vulture Central in London, where we met some of our Kickstarter backers, mission sponsors and the press.